Creating a memorable gala can seem like a Herculean task. However, it all comes down to time-management, finding the right venue and decorations to suit your event and having your guests in mind when picking entertainment. Here are our top five tips for creating a fabulous gala! If you’re used to organising events on your own, it can be hard to delegate tasks when putting together a gala. But you really should! If you’re the only one who knows what’s going where and who’s doing what, everything could fall apart if you aren’t there to oversee it all. Get a group together to help you plan and act – if will be a lot less stressful for everyone! Amazing galas don’t just come together on their own – they involve a whole heap of forethought and extensive scheduling. Making sure you get everything that you can organised well ahead of time – such as your event lighting – will make sure you’re not frantically running around at the last minute. 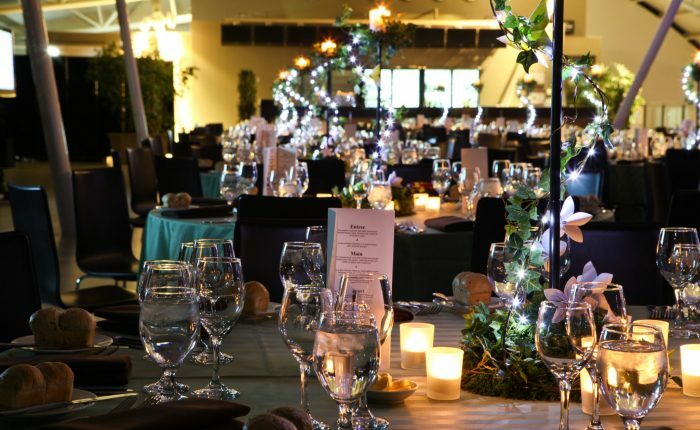 Once you know what kind of gala you’re going to be hosting and what it will entail, pick a venue that will suit it. Think about how many people you’re inviting and whether they’ll all fit comfortably into the space you’ve chosen. Picking a venue that is easily accessible is also a good idea. The choice of decorations has the power to make or break a gala. Having knock-out visual services, like state-of-the art LED uplight and dance-floor lighting from Pro Light & Sound, will make your gala feel inviting, look professional and leave your guests with a great impression of your organisation. Know your audience when deciding what music to use or which performers to enlist the services of. Are you catering to young, party-minded people or a sophisticated and sedate older crowd? No matter your needs, Pro Light & Sound has the audio visual equipment your gala needs to go off without a hitch! Get in touch now to see how we can help you create a fabulous Gala!